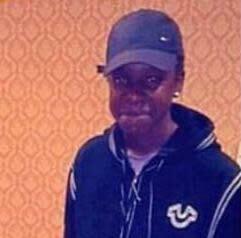 Detectives investigating the murder of teenager in Chadwell Heath have made a sixth arrest. 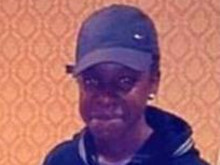 A 14-year-old boy [F] was arrested at a residential address in Ilford on the morning of Thursday, 31 May on suspicion of the murder of 18-year-old Lyndon Davis. A 16-year-old boy [E] arrested on Wednesday, 30 May on suspicion of the murder has also been bailed to a date in late June. A murder investigation was launched after police were called at approximately 22:30hrs on Wednesday, 14 March to reports of an assault on Padnall Road, RM6. On the night of the murder, officers attended and found Lyndon suffering from a stab injury nearby on Nash Road, RM6. He was taken by the London Ambulance Service to an east London hospital where he died at 01:16hrs. A 34-year-old man [A] was arrested during the early stages of the investigation on suspicion of murder. He was bailed until a date in mid-April, and subsequently released under investigation while enquiries continue. A 17-year-old boy [B] was arrested on Sunday, 1 April. Two other boys aged 15 [C] and 16 [D] were arrested on Monday, 2 April. All three were taken to a police station for questioning before being bailed to return to east London police stations on a date in mid-April. They have since been bailed to a date in late June.